The 1st place winners, The Rotary Revelers from Owego Rotary Club. Provided photo. 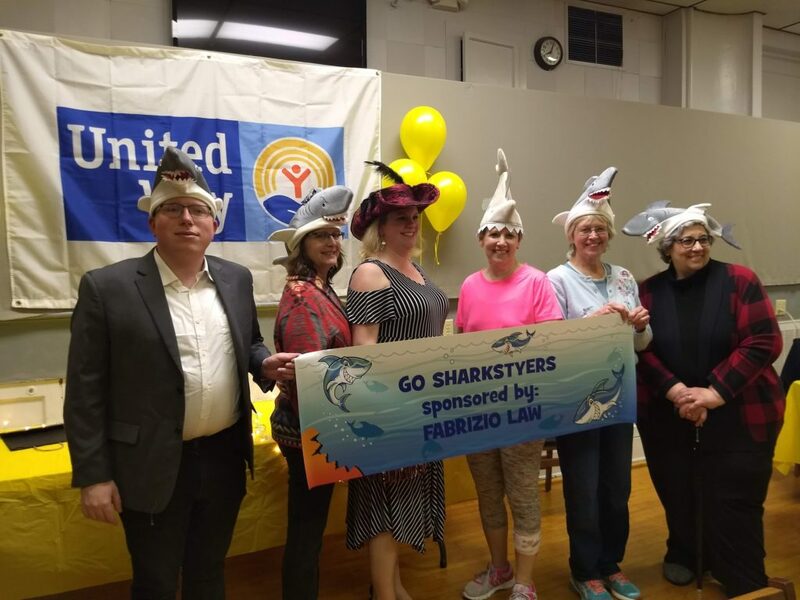 The Tioga United Way’s 4th Annual Adult Spelling Bee was a success thanks to a variety of volunteers, sponsors, celebrities, participants, and supporters. 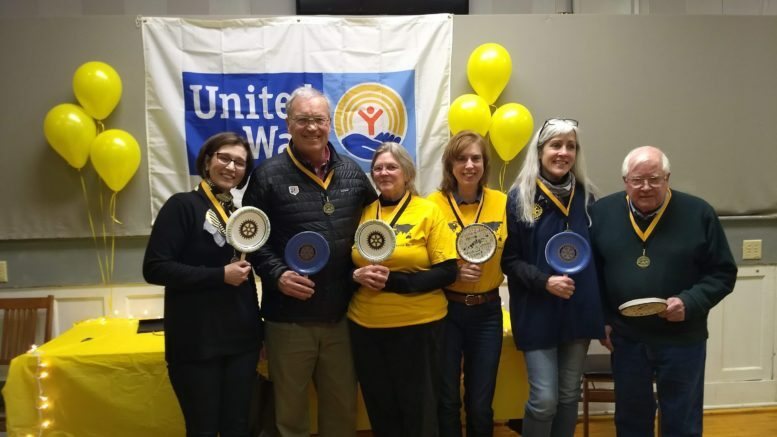 On Saturday, March 30, 12-teams competed for the title of ‘Best Spellers in Tioga County’ and, in the end, it was the Rotary Revelers from Owego Rotary Club who took home the prize for 1st place. The 2nd Place winners were the Happy Campers from Camp Ahwaga and Best Costume winners were Fabrizio Law, from Fabrizio Law Offices. The 2nd Place winners, The Happy Campers from Camp Ahwaga. Provided photo. Tioga United Way would like to thank their sponsors – Lockheed Martin, and Literacy Volunteers of Broome/Tioga Counties. Thanks are also given to their Master of Ceremonies Steve Frye, Word Master Dr. S.G. Grant, judges Dave Astorina, Jim Tornatore, Sister Mary O’Brien, and Orville Wright. Of course, none of this would be possible without their Board of Directors and all of their dedicated volunteers, especially Jana Bowen, Anne Grant, Barbara Patten, Teresa McNamara, Betsy Snyder, Connie Sternberg, Madison Hornick, Zoe Ann Zielinski and many more. Special thanks are given to the Owego Elks #1039, Katie’s Kreation’s, Nancy Eckstrom, and Tammy Babcock. Winners of Best Costume, Captain Morgan and the Sharks, from Fabrizio Law Offices. Provided photo. Finally, the Tioga United Way would like to express their gratitude to the highest bidders as well as the celebrities who participated in the Celebrity Adventures: Dr. Lisa Kaltenegger, Kathy Hankey (What’s In Store? ), Rob Clark (Pheasant Hill Country Club), Marty Mattrazzo (Farmhouse Brewery), Jim Ehmke (Newschannel 34), Captain Scott Fletcher (Blue Moon Sport Fishing), and Robert Henrich (Goodrich Aviation). They are all fantastic community partners and the Tioga United Way is grateful for their ongoing support. If you missed out on the fundraiser but would like to be a part of the Tioga United Way Annual Giving campaign, you can make a contribution by going to their website, tiogaunitedway.com, or by sending your donation to 24 State Route 96, Owego, N.Y. 13827. 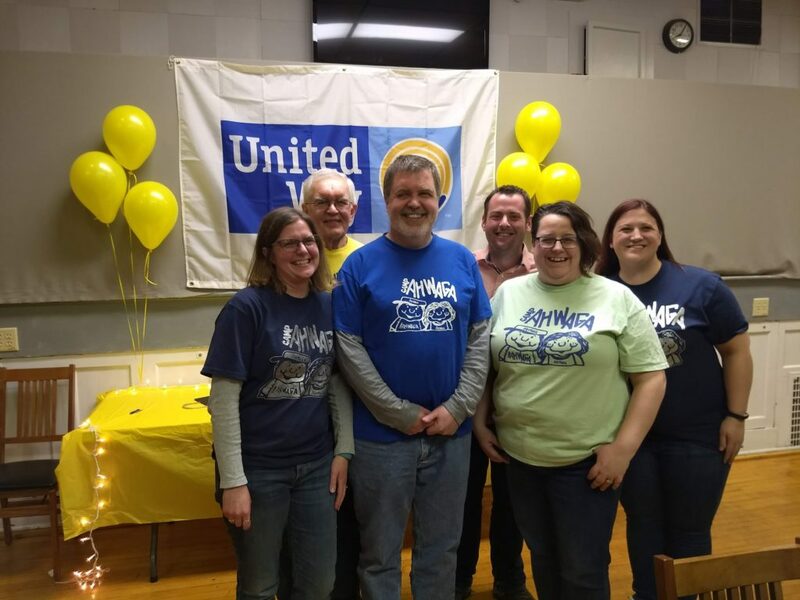 Be the first to comment on "Rotary Revelers win United Way’s Spelling Bee"